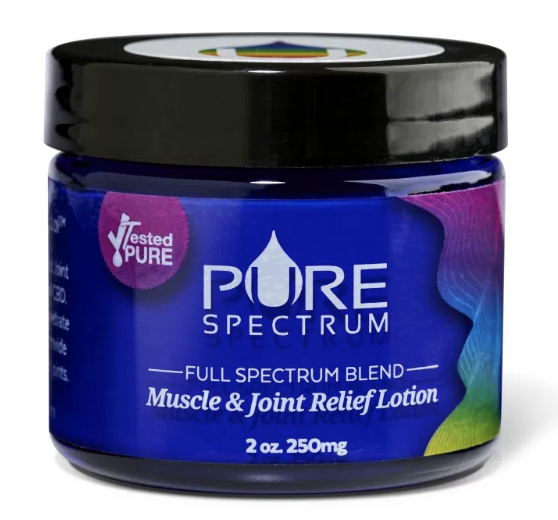 Premium quality Pure Spectrum Full Spectrum Blend, muscle and joint relief lotion is made from USDA certified hemp. 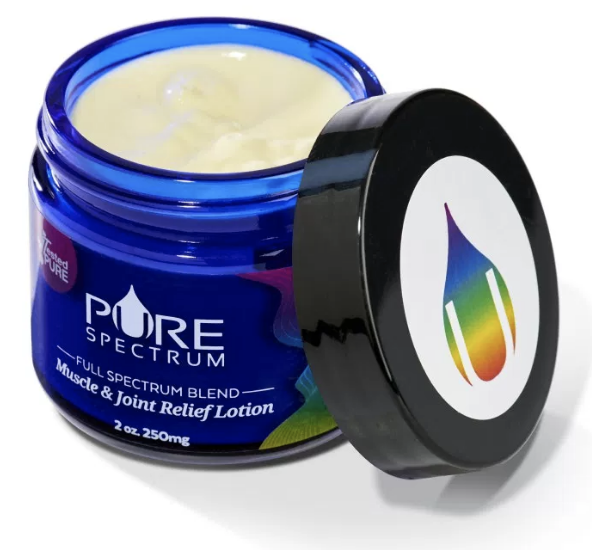 Each 2oz tub comtains 250mg of CBD. Ideal to massage into sore muscles and is non-runny. Order at a great price today.